Habanero Fit | H&R Special Springs, LP. 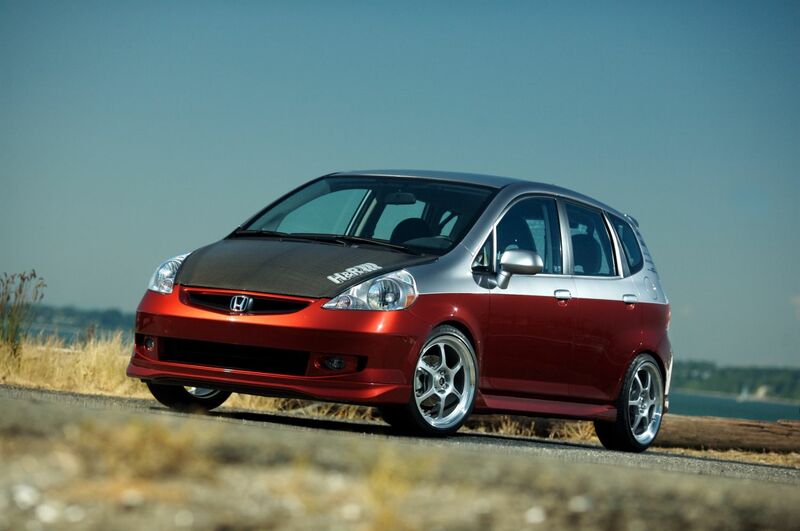 Timing is everything, and Honda’s on top of it’s game with the perfectly timed 2007 Fit that is easy on your wallet and at the gas pumps. 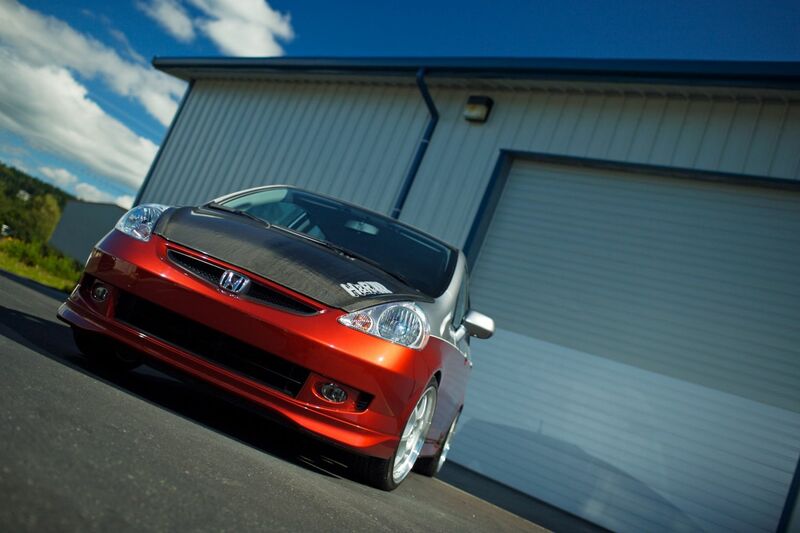 The H&R Fit proves the sport compact market is alive and well, letting you make up the rules as you go. The Fit is up for more than the usual and is perfect when you’re all about just finding new ways to go your own way. Looks can be deceiving, and the H&R Project Fit proves not only that less is more but that it’s Habanero Fit design can be easily replicated, in all or part, by any Fit owner. The Fit is strong and sturdy and is designed to fit more cargo with more seating variations than you’d probably expect. The H&R Fit fills this extra room with a bombastic Scosche EFX Hyperformance audio system featuring a huge rear speaker box that houses two 12” subwoofers with 900 watts maximum peak power, two 1200 watt amplifiers and two supporting 16 volt capacitors so you’re fitted for total sound experience. 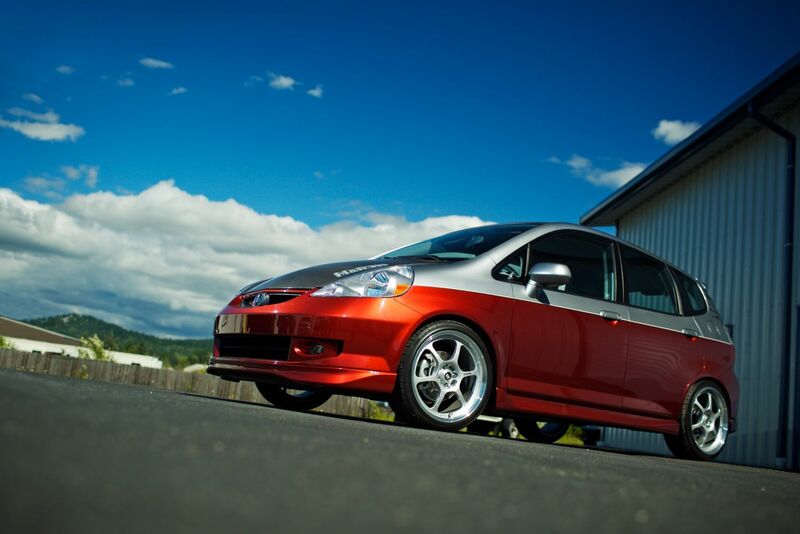 Yet, the Habanero Fit is more than meet’s the eye and it quickly grows on you as you drive it and discover that it’s impressively big smallness, unique styling and sporty performance make a bold personal statement. 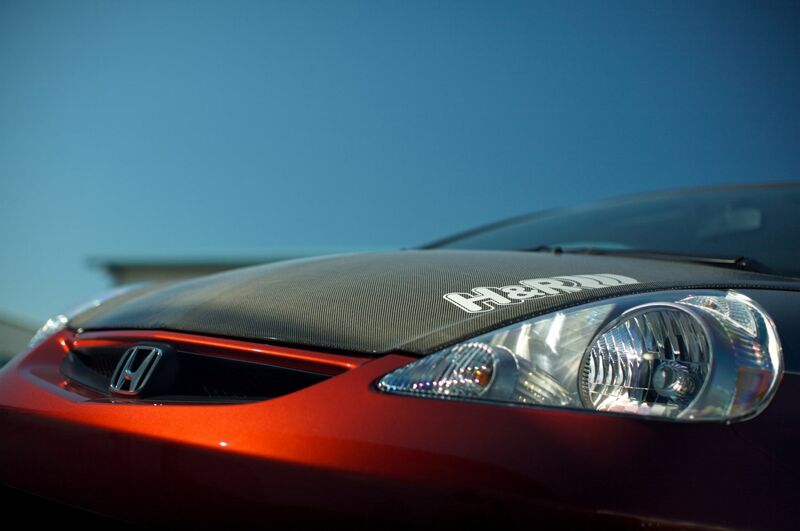 H&R customizes the Fit powertrain with the superior design and unmatched power of both an AEM header and exhaust as well as an AEM Cold Air Intake to create more horsepower and torque. H&R Sport Springs lower the Fit 1.5” for great handling and enhanced vehicle performance and H&R TRAK+® Wheel Spacers fine tune the side profile and cool H&R stance. 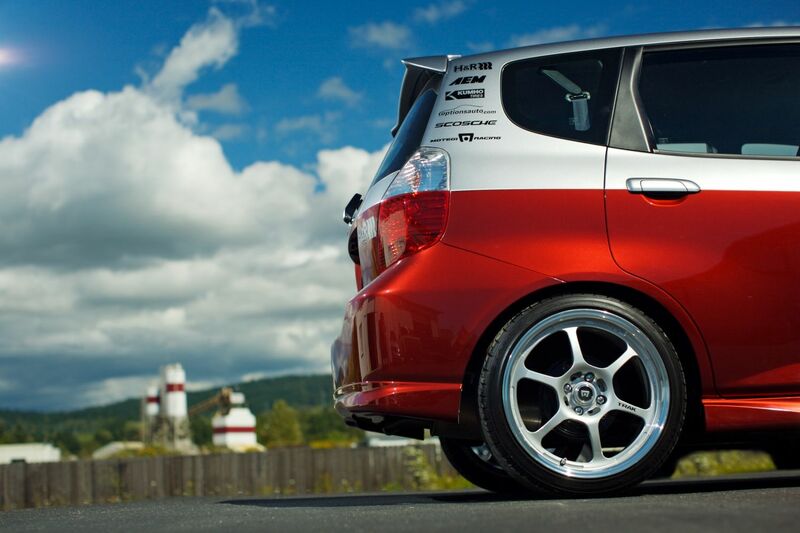 Huge 17 X 8 Motegi TRAKLITE wheels provide great looks and light-weight handling while the big 205/40R17 KUMHO ECSTA SPT tires give world class performance on any surface. 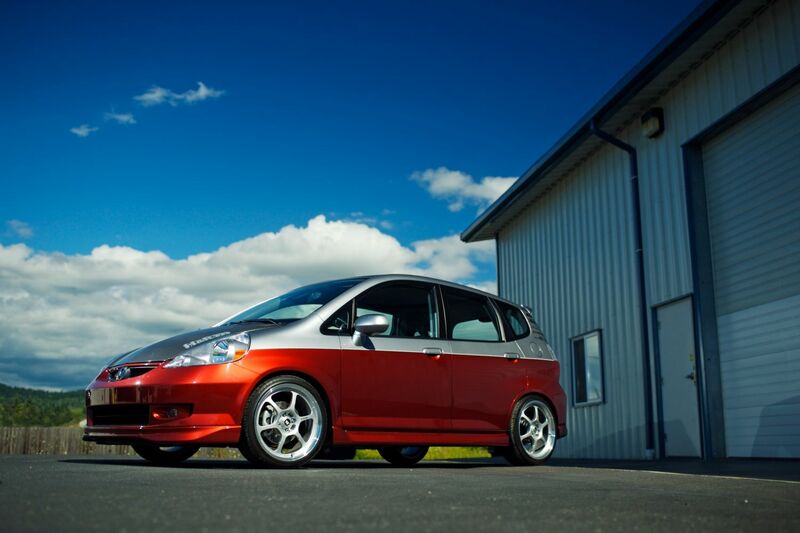 The Fit catches the eye with it’s flashy, two-tone silver and special Habenero Red exterior and Fit enthusiasts will be unable to resist this awesome color scheme that turns heads. 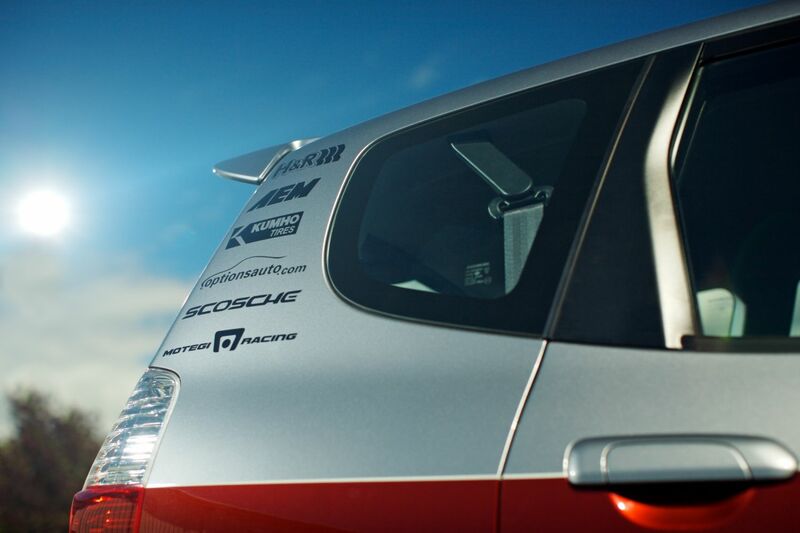 Design also features an exterior white reflective sponsor call-out stripe separating the red and silver and matching custom interior accents. Custom, two-tone silver and red, high-tech LEDJDM taillights match the vehicle color scheme. The H&R Fit is designed to fit the owners lifestyle and it’s indispensable versatility will easily separate it from the subcompact pack. Work. Play. Go for it. Life’s too short to follow someone else’s rules. 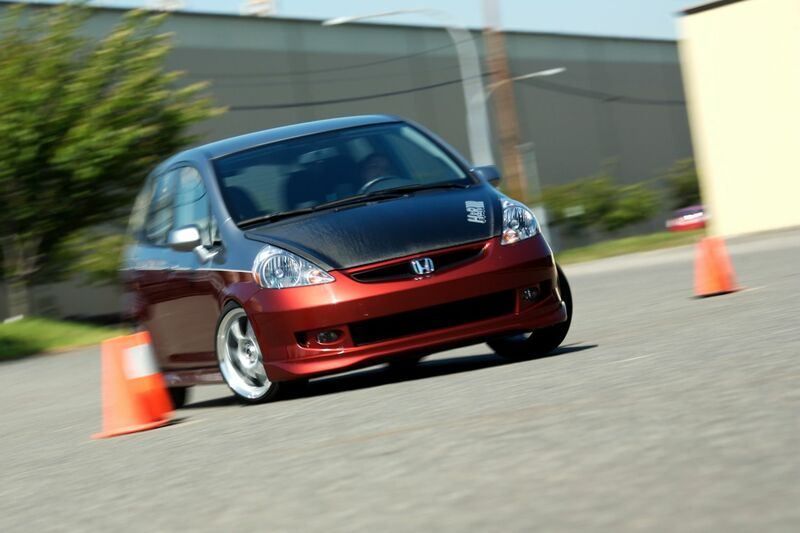 17 X 8 Motegi TRAKLITE 2 Wheels . Car - Two -tone factory Storm Silver Metallic and Special Habanero Red with white reflective sponsor call-out stripe separating red and silver. Matching interior accents. JDM Taillights - Two-tone silver and red custom matching of color scheme with high-tech LED. EFX HD7004 Hyper Drive 4-channel amplifier with 1200 watts max peak power output. EFX HD5001 Hyper Drive 2-channel amplifier with 1200 watts max peak power output. HDX67 Hyper Drive 6.75 convertible components separating front and rear speakers. EFX HDW1204 12” subwoofer with 900 watts max peak power.